Karl Ohiri and Sayed Hasan have each travelled thousands of miles to Pakistan and Nigeria, in an attempt to bring their grandfathers’ cars to the UK. They wish to park them side- by- side in their country of birth, but it has been an unpredictable journey. Both cars - a fragile Beetle shell and a retired, unusable hulk - were denied shipment, held up for reasons that reflect the politics and cultures of the countries they remain in. 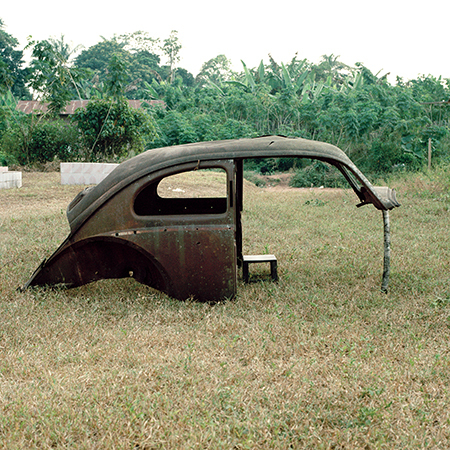 My Granddad’s Car has come to symbolise the journey of two friends that have chosen to explore their histories, cultural heritages and identities together. Both artists are determined to overcome the boundaries they face in order to reconcile their ancestral pasts with their present lives. The cars have come to represent more than the sum of their parts, which is why they will stop and nothing to ensure they are united together in the UK. Using photography and video to document this unique experience, the artists explore the intimate acts and processes involved in this on-going collaborative work. 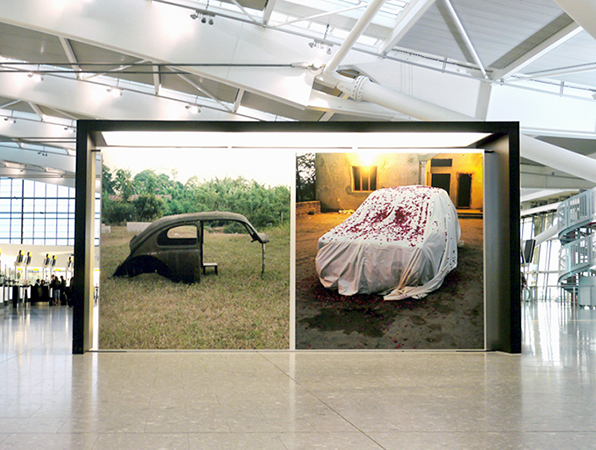 The project was generously funded by Arts Council England and was first exhibited as a large scale public installation at Heathrow Terminal 5 as part of their EXPO programme in 2012.